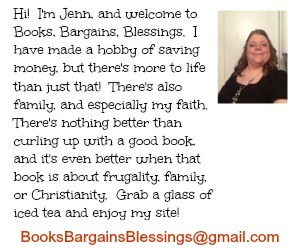 Books, Bargains, Blessings: I Love To Read -- Even on the Go! I Love To Read -- Even on the Go! Unlike when I was eight years old, I can now take my whole library with me. Because I have both an iPad Air and iPhone 5c it's easy to download reading apps such as Amazon Kindle. (That one is my favorite.) 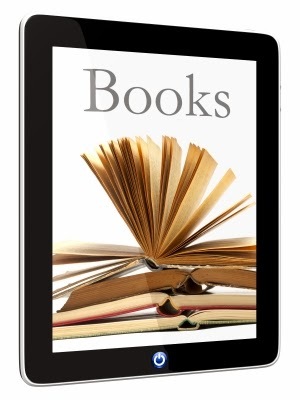 Being the frugal person I am, I watch for free book downloads and because I've been doing that for years, I have hundreds of books at my fingertips. Because of the U.S. Cellular 4G LTE network, I will only download the book when I'm ready to read to save space on my device! A convenient feature is if I left off reading on one device and pick up the other, I will get a message saying I left off at a certain spot, and do I want to skip ahead to there! It is not surprising that the Book Institute Study Group says that now 70% of people prefer e-books instead of print copies. It's so convenient to read on my phone! I always have it with me so that means I always have access to my books. When my mother was so so sick, I bought her an iPad Mini so she could read during dialysis treatments and when hospitalized. She was losing her eyesight and being able to increase font size through the Kindle app was something she greatly appreciated. I also have a few children's books on my device and I've read a story with a young family member while waiting one time. What child doesn't love a story and it's so convenient to keep in your purse! Another app I enjoy is Goodreads. This is social media-type site that focuses solely on books. I track what books I read there. (I wish this would have been around when I was a child. I'd love to know how many books I've read in my lifetime!) I can also see what books my friends are reading. I leave reviews, and sometimes people even comment on them. I reviewed a book where no one had cell phones. I commented in my review it was so odd to think of people not texting! I didn't know what year the book was originally published as I was reviewing an ebook for a publisher, but someone commented it was from 1988! No wonder they had such a difficult time staying in touch with their friends and family! A U.S. Cellular device is fantastic for not only keeping you in touch with your friends and family, but also can help you enjoy that latest novel while on the go! If you are interested in learning more about all your device has to offer, including other apps you can download to enrich your life, all you need to do is attend a free device workshop through U.S. Cellular. FTC disclaimer: I am part of the U.S. Cellular blogger's brigade and this is a sponsored post. All opinions are my own.